If you’re from the West, I’m pretty sure we’ve all eaten once, twice, three times, or more times than we can count. Cooks Hill moved down to John St with the same management under the name J’s Kitchen Steak House. They have certainly upgraded. This place is certainly different from the dim, danky and crowded Cooks Hill. 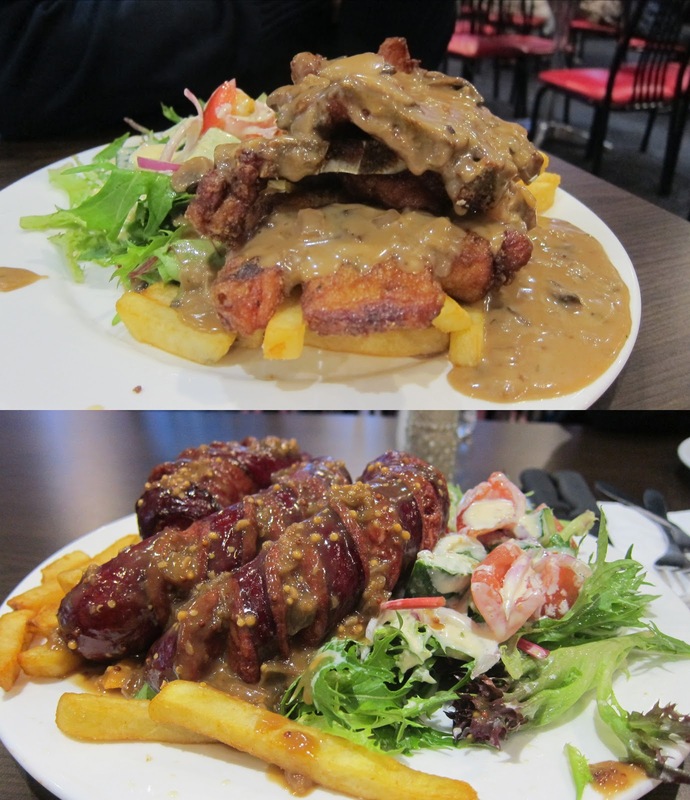 pork/lamb/spaghetti/kransky/steak/calamari/fish with a side of chips and their delicious salad. 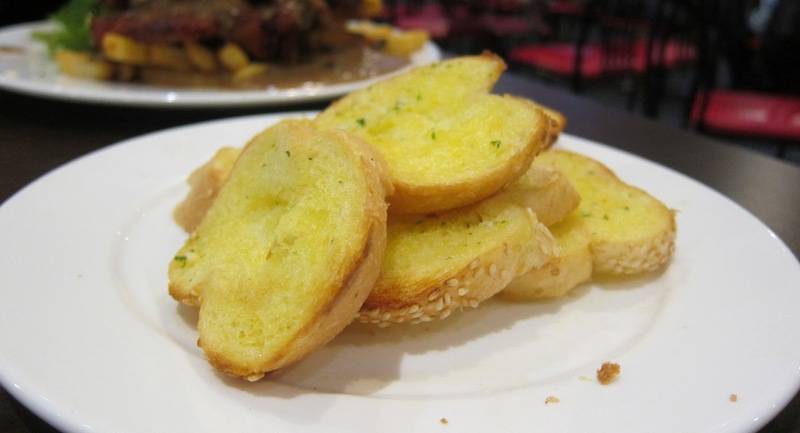 They have more added on to the menu, shown up on an LCD screen to the side where you order, I haven’t tried anything aside from their $10 meals and garlic bread. Maybe one day. I’ve been to J’s Kitchen two times before since they’ve opened, both times I ordered Lamb, both times I had horrible cuts. 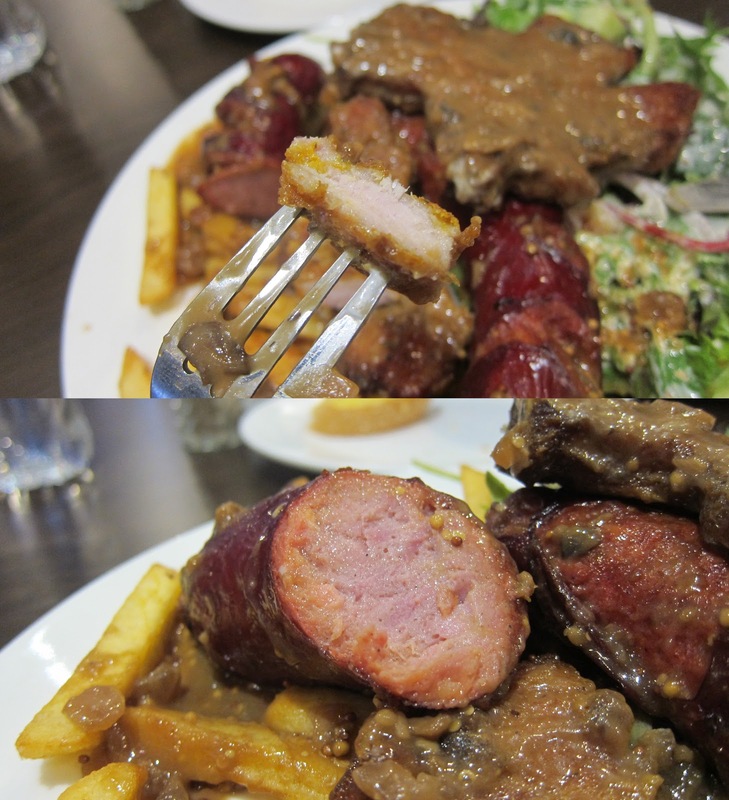 This time, I went for Kransky and Pork, where my friend and I halved our meats each (because we’re cute like that). 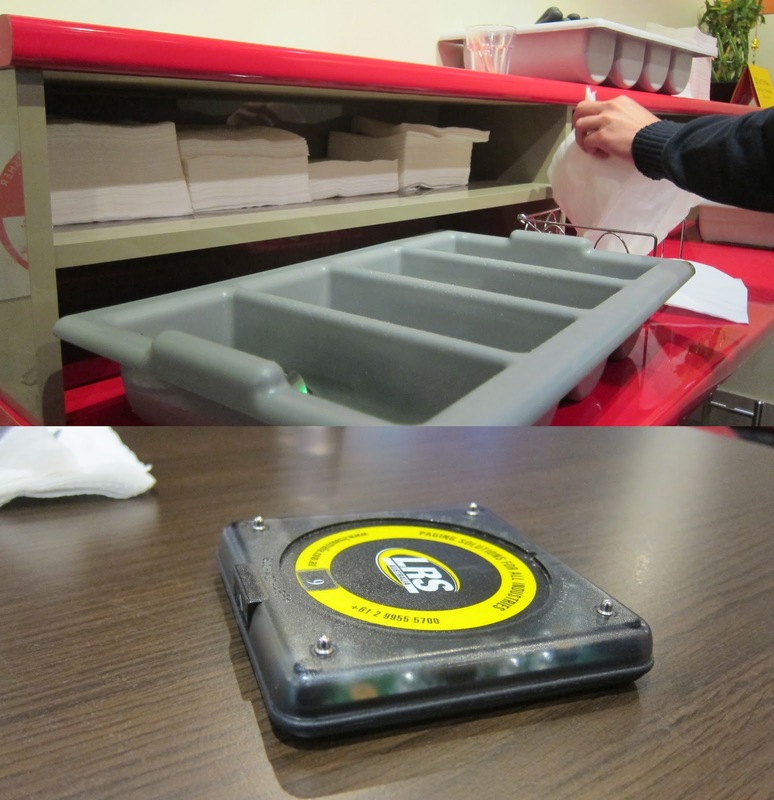 Self service serviettes and cutlery. You are given a beeper as you wait. It’s not long before the beeper goes off and you recieve your dishes. It’s the perfect combination of flavour from the chips, mushroom sauce and the salad.The meal was filling and as usual, I walked out with the stench of Cooks Hill, bloated, grumbling the words, ‘I am so sick of this place…’ (Then later craving it again). Good stuff, J’s Kitchen. Value for what you pay for. Next Post Baking with Arsy: Gingerbread Men and Christmas Tree Cookies!